How Rare Is Rare for a Lobster? When I began researching the beautiful yellow lobster we later named Libbie, I found articles that reported she was 1 in 30 million, others that said 1 in 20 million. 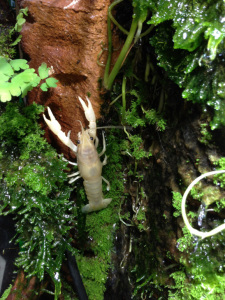 I learned that other lobsters are quite rare too. For example, albino lobsters are the most rare, next are the yellow, followed by calico, blue and even a rare two-toned lobster. So I began to wonder, What causes this anomaly? And, If so many are found, then why are they rare at all? 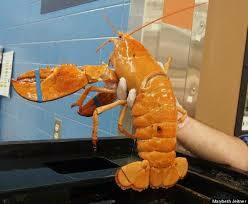 As with all life it seems, the color of a lobster is determined by both genetics and environment. Slight genetic mutations occur throughout nature. Libbie was likely a result of this sort of mutation. But environment can also play a role. Because yellow lobsters seem to be found in certain common areas along the coast, it has been hypothesized that certain algae could be the culprit. Sage advice for writers – ALL writers. How Did Libbie get to Publix? Have you heard the story of Libbie the Lobster? Heather Chalmers and I have been so excited by the large number of fans Libbie the Lobster has acquired since our adventure began to liberate Libbie from becoming someone’s dinner feast. People love to talk about the story of her rescue. I cannot help but smile when I see people’s’ faces light up when they see me and know about Libbie. I’ve been told this is a great “human interest” story, so I imagine people are thirsty for good news these days. If some happiness can be brought into people’s’ lives in the form of a beautiful yellow lobster now named Libbie, then I’m all for it! Blindogg Books is proud to share this post from The Story Reading Ape!! Check out my LinkedIn page, along with Twitter, and you’ll find out more about me. 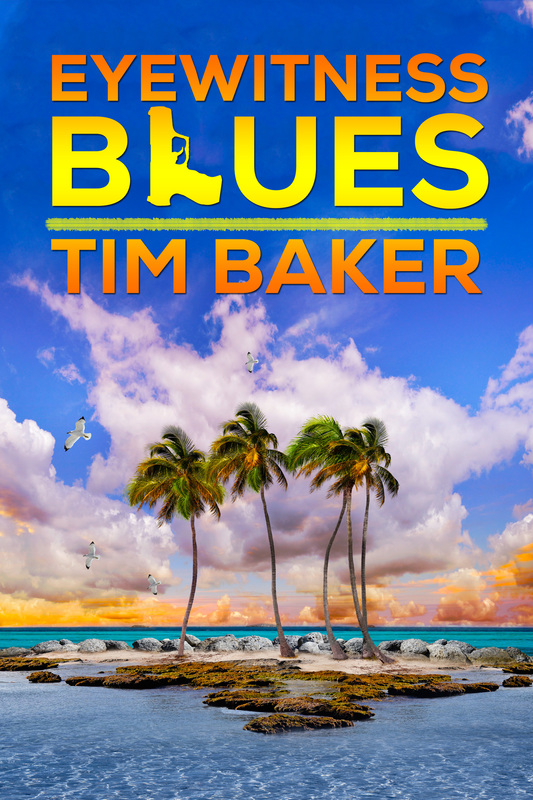 Announcing … a new novel by Tim Baker!! I’d like to thank fellow author (and super-fan) Susan Toy for this glowing (gushing even) post about the upcoming release of Eyewitness Blues. 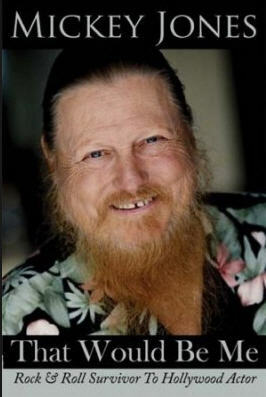 On Friday August 1, 2014 I had the pleasure of interviewing Mickey Jones on my radio show (as I warned you about here). If you don’t know who Mickey Jones is – look here. 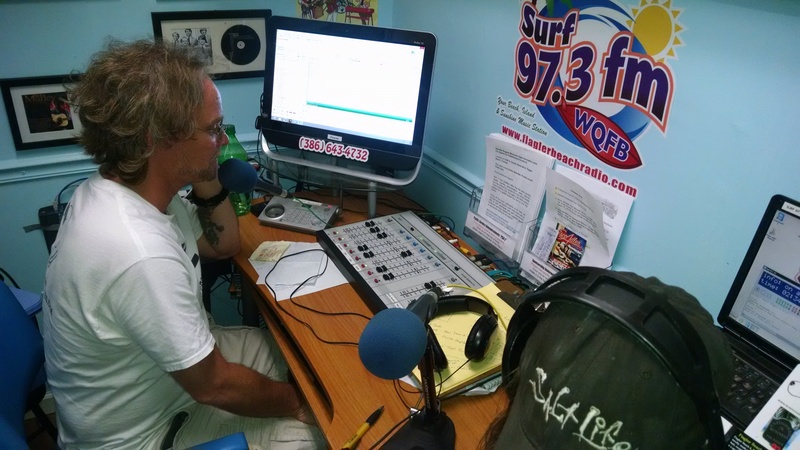 If you don’t know about my radio program on 97.3 The Surf – look here. 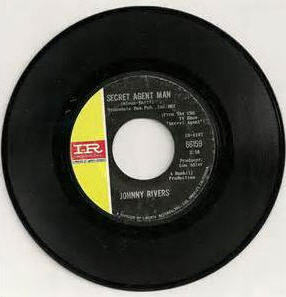 Just prior to calling him, I played the song Secret Agent Man by Johnny Rivers to get the listening audience primed – since Mickey was the drummer on that track. I called Mickey and we exchanged pleasantries off-air while the song played. Mind you – Mickey couldn’t hear the song so he had no idea what the audience was hearing. When the song finished I brought our mics up and welcomed Mickey to the show, telling him that we had just played Secret Agent Man. Well – you get it. We talked about his book That Would Be Me (a must read for music lovers) and his work-in-progress I’m That Guy which will chronicle his acting career. Mickey is a born story-teller so neither of these books will disappoint. Ninety minutes after we began I had to interrupt him in the middle of a story about Arnold Schwarzenegger. He sounded disappointed that he had to stop. I really think he felt as though he was just getting started! Judging by the response from the listeners I should have let him keep going. Talking with Mickey is like having a conversation with your best friend – the one you haven’t seen in a while, but as soon as you get together it’s like you just spoke yesterday. Shortly before we wrapped things up I let a cat out of the bag. I revealed a bit of a secret on the air that Mickey doesn’t talk about. As far as he knew it was just another interview about rock-and-roll, and he was fine with that, but there was a more important message I wanted to get out. Quite simply – Mickey needs a kidney. When I first met him in 2011 he had found a donor and things were looking good. Unfortunately, complications arose and the donor was told, for her own health reasons, that she could not donate. In the meantime, Mickey had been removed from the waiting list for reasons I am not sure of. The would-be donor (we’ll call her Lark) asked me if we could interview Mickey and get the word out about Mickey’s need for a kidney. Like Mickey, Lark is also an incredibly self-less person and even though she can’t donate her kidney she has taken it upon herself to help find another donor. I announced it on-air without giving Mickey any advance warning and he was immediately choked up with gratitude (although he tried to blame it on his allergies!). Putting his own health issues aside, he selflessly devotes himself to causes that will help others…but when I reached out to my listening audience for help, he was so overwhelmed that he was left speechless for a few seconds – something that doesn’t happen too often! The bottom line is this…Mickey’s chances of finding a kidney increase greatly every time somebody hears about his situation – so spreading the word is the first, and biggest step. 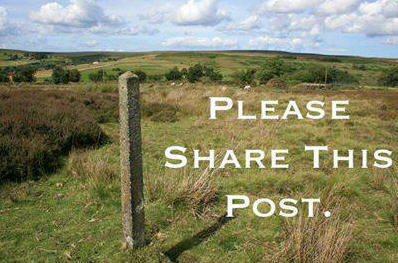 You can help greatly simply by sharing or reblogging this post. If you missed the interview don’t worry, I will be posting a link to an encore presentation very soon.